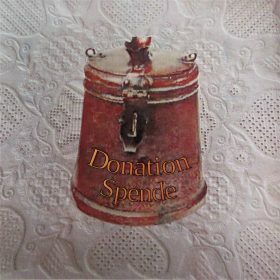 The ultimate success of any handwork depends on the usage of the correct tools and appropriate high quality materials. The Schwalm Whitework embroiderer will want to pay especial attention that the quality of the linen is equal to the investment of time spent embroidering. Schwalm Whitework should not be worked on linen which will degrade easily. 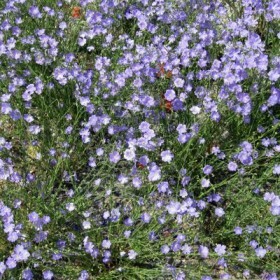 70 days after sowing, the small flax seed begins to bloom; it is ready to harvest about 30 days later. To ensure the longest fibers possible, the plants are pulled from the earth with parts of the roots still intact. 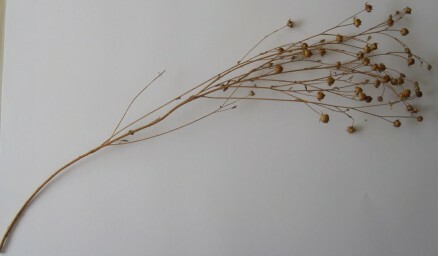 The seed pods and the leaves are separated from the stem. 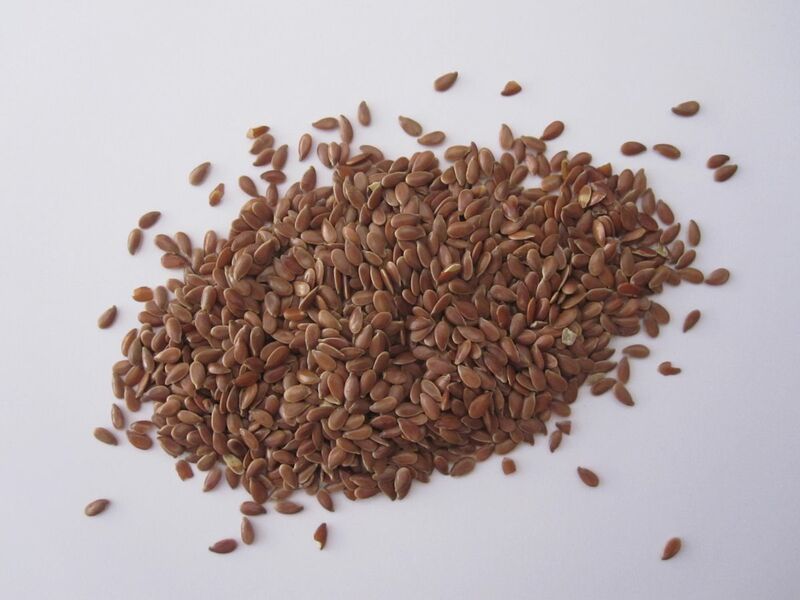 The seeds are used as oleaginous fruit in the production of Flax Seed Oil, or whole or ground for people following a healthy diet. Retting is the process of releasing the fibers of the plant. The binding “glue” must be dissolved through a wetting process. It can be done by the dew on the field where the plants are laid out (dew retting), or it can be accomplished in shallow, standing water (retting pond or flax retting pit) where the plants are immersed. Another possibility is through a synthetic process (warm water retting). In this step a lot of the wooden content falls away leaving long fibers. This step of pounding the flax removes the last bits of wooden content. Before the fibers can be spun, they must be hackled or heckled. This procedure, called combing, removes more and more of the rough and shorter fibers so that only fine long fibers remain. A good spinning mill sets great store by very thoroughly combed fibers. Spinning the long fibers is mostly done with a wet-spin procedure. Hand-spinners (of the past and even today) place small water bowls at the spinning wheels. This is so that the spinner can moisten her fingers to get a consistently fine thread. Linen is usually woven in the classic linen weave. For the warp a very regular yarn must be used; it is made stronger and more durable by applying starch and sizing. It is important that the yarn be regular because an uneven thread, with too large slubs, would catch and break too often by the rubbing on the weaving loom. First, the raw linen fabric is boiled, bleached and, if needed, brightened; sometimes it is also dyed. “Shrinking”, a special technique that pre-shrinks the fabric, is not used on embroidery fabric. It is intended that that fabric will shrink after finishing the embroidery. (After the first laundering the linen fabric shrinks about 3 % in the width and 8 to 10 % in the length.) This has two pros: first, embroidering is easier on un-shrunk linen; second, the threads of the linen fabric expand after laundering—its volume increases which enhances the appearance of the embroidery. Thoroughly ironed, one will get a piece of long-lasting beauty and quality. 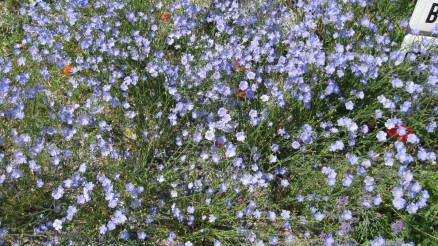 Some decades ago flax was cultivated by smallholder farmers in all countries with moderate climate (and all over Germany). All the many steps, from sowing to bleaching and sewing together the finished rolls for perfect storage in coffers, were done on the spot. With the beginning of industrialization, linen spinning and linen weaving rapidly moved into the developing factories with mechanical spinning and weaving machines. Many regions here in Germany are famous for high-quality linen. The “Bielefelder” linen—established when “handwork” was strong—was top-ranking. But also linen from “Oberlausitz”, “Schlitz”, and many others had good reputations. 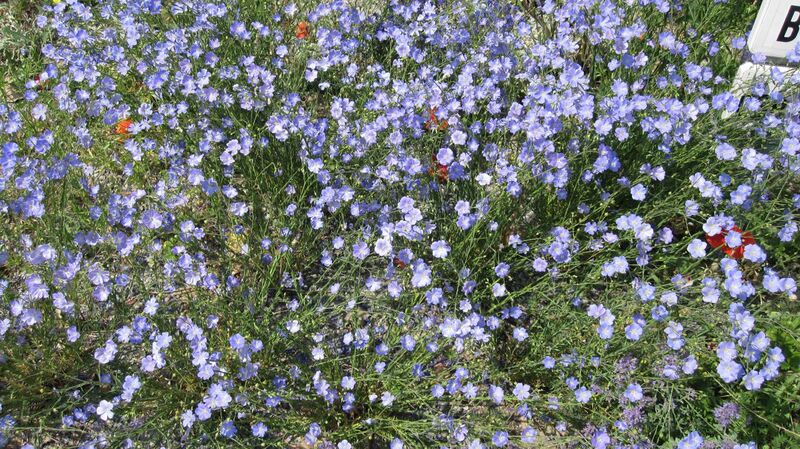 Today, large-scale cultivation of flax is only found in Northern France, the Netherlands (Zeeland) and in Flanders/Belgium—regions with maritime climates and long-cherished traditions. In these locales an especially long-fibered flax is harvested. Only good raw materials will result in good yarn. High quality fibers are predominantly spun in the spinning mills of France, Belgium, Hungary, Poland and Far East. No flax yarn has been spun in Germany for some years. Afterwards the linen yarn is woven. In Germany there are still some weaving factories at work, but they specialize in different linen qualities. The Hoffmann company in the “Oberlausitz” makes fabric for tables and beds, the Driessen company in “Schlitz” produces table, bed and kitchen linens, and the linen manufacturer “Achern” specializes in clothing and bathroom textiles. The Weddigen weaving mill produces bed, table and church linen and also fabric for embroidery. Many years ago, a specific linen was requested. With the assistance of embroiderers doing Schwalm Whitework, a special linen was developed and tested. It quickly prevailed on the market for this special embroidery technique and has turned out to be the most widely used linen for Schwalm. It is the Weddigen linen with 16 threads/cm count (item 925). In comparison to, for example, the 16 threads/cm linen from the Zweigart company, this linen has a higher fiber content (the threads are wider) and less space between threads (the distances between the single threads are smaller). Please see the enlarged comparison. If one has at their disposal a linen with a higher mass of fabric thread, one can place the stitches more exactly. Thus the embroidery takes on a more orderly and perfect appearance. Also, when working filling patterns on more dense fabric, the single fabric threads do not pull together as much; the patterns develop more prominently. For lovers of finer linen, Weddigen also produces embroidery linen with 20 threads/cm. Some less densely woven linen is the Weddigen linen with 13.5 threads/cm (item 160). This finished and noble product awaits to be dispatched to many countries in the world. And maybe it will find its way into your skilled and dextrous hands and fingers from which will emerge real works of unique art. Hallo Luzine, thank you so much for the very interesting information about linen and the flax plant. The embroidered items posted are beautiful. Hallo Luzine, you have done a wonderful job, exceptional detailed. Thank you for this great document. It will help me to answer questions my granddaughter has raised. Linen is from flax seed plant?? Thank you Luzine for this wonderful piece of information. Hallo Ana-Maria, yes,to have the right linen is very important and a key to the beauty of Schwalm embroidery, I think too. So it was me a concern to tell about. I never knew that linen is from flax seeds! Love reading each of your posts. And I love visitors, not only looking for a few seconds, but reading through many of the pages. That makes all my work worthwhile! Thanks for the article about flax and weavers of linen. I’m so greatful for the links. I need to find places to buy good linen to traditional folkcostumes of Sweden. I wish you great success. I made good experience with the Weddigen linen mill, but I need a special linen for Schwalm embroidery. May be, it is also interesting for you.